Why do so many people criticise Procol Harum’s Homburg hit for sounding like A Whiter Shade of Pale? Could Procol Harum’s follow-up to A Whiter Shade of Pale have possibly sounded any different? Obviously, no – because the group is Procol Harum – and that is their music. A Whiter Shade of Pale was a giant, worldwide hit record made by a group who had their own, unique sound. 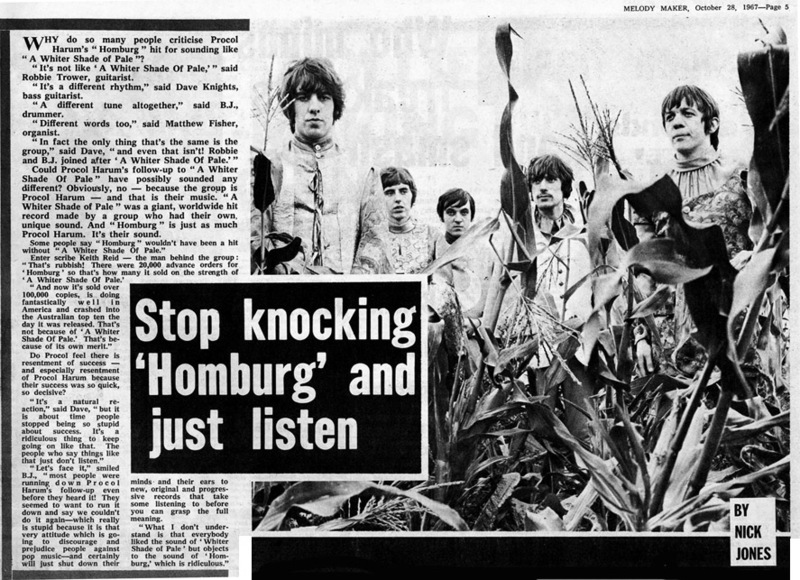 And Homburg is just as much Procol Harum. It’s their sound.